Is there hope during these dark days of Christmas 2016? The Chinese Navy intercepts a US Navy underwater drone. A Turkish man assassinates a Russian Ambassador. A man drives a truck into a Berlin, Germany, Church Christmas market killing 12, injuring dozens more. The American Electoral College elects Donald Trump president, a candidate whose major proposals included building a wall to keep immigrants out of the USA, and deporting Muslim people from the USA. Lots of discussion about whether Russia interfered in our election process through hacking of emails. People fleeing the bombed-out Syrian city of Aleppo. That was all on one day. Geesh. Kinda gives me the shakes just looking at it. The other day I was driving my car down the road to the church as I always do, and it struck me how normal the drive was. People in other cars passing me. Houses. Trees. All very normal. And then I thought, I wonder how life will change in these next four years with our new president. Will driving down the road be just as normal as it is today? That might sound like a ridiculous question. But I wasn’t really thinking about the act of driving, or the technology of a car. We know that car technology is changing, and in four years from now there will be different cars, with different technology. Maybe there will be cars that drive themselves, or cars that talk to one another. Maybe it will be a safer way to travel. But that’s not what I was thinking about that day. In my mind I was thinking about the world. I was thinking about the news and how troubling it all is. Any one of those news items I mentioned are serious and in bygone eras have been acts of war that led to devastating conflicts. You’d think the song was written for our time. But it wasn’t. The lyrics of the song are based on an old poem. One of America’s greatest poets, Henry Wadsworth Longfellow, wrote the poem “Christmas Bells” on Christmas Day 1863. Think with me about what was happening in our country in 1863. The Civil War. In March of that year Longfellow’s oldest son, joined the Union Army without his father’s blessing. Longfellow found out in a letter. Longfellow wrote the poem on Christmas Day just a month after getting the news that his son was severely wounded in the Battle of New Hope Church in Virginia. Two years before that, Longfellow had lost his beloved wife of 18 years when she was terribly burnt in a fire. It was a dark Christmas day for him. We might not be in Civil War, but the world feels very dark this Christmas Day, doesn’t it? As we have been learning this past month studying Isaiah, the world was a dark place for the Judean Israelites during Isaiah’s day too. Armies from all around were constantly threatening to invade them. The world was dim. In the next prophecy God talks to the people walking in darkness. If God came to you saying “I’ll give you anything,” what would you ask for? In our study of prophecies of the Messiah from Isaiah, we come to Isaiah 7, and God does something that highly unusual. Or maybe “Lord, drop a million bucks in my bank account, and I promise I’ll give 90% back to the church and missionaries.” And I’d still have 100 grand! This is a unique situation. God is asking giving this wicked king, Ahaz, the opportunity of a lifetime. If you’re like me, you’re wondering why in the world YHWH would do this? Is he testing Ahaz? Is he giving him a riddle of some kind? I would like to suggest to you that none of those reasons are why God did this. Instead this is an instance of YHWH being caring. Caring? Yes, YHWH is being caring. Let me try to explain. God in the Bible often says “be faithful”, just like he has said to Ahaz in verse 9. You need to know a few details about Ahaz. I’ve already said that he is a wicked king, and you can read about that in 2 Kings 16 or 2 Chronicles 28. What you find there is that Ahaz was a slimy guy. For example, in 2 Kings 16:2 we’re told that Ahaz did not do what was right in the eyes of the Lord his God. He walked in the way of the kings of Israel (to the north) and even (this is hard to believe) sacrificed his son in fire, or made his son pass through fire, following the detestable ways of the nations the Lord had driven out before the Israelites. He offered sacrifices and burned incense at the high places on the hilltops and under every spreading tree. He went on to pay lots of money to the Assyrians to help him out when Israel attacked him. And Ahaz even made a new altar to foreign gods, had it installed in God’s temple and put away temple furnishings, shut the doors to the temple, and erected altars in every street corner of Jerusalem. In other words, Ahaz was a regular dirt bag. Now in Isaiah 7:1, we find out that two local kings are threatening to invade Ahaz and his kingdom. Isaiah tells us Ahaz and the Judean people are so scared they’re shaking like trees in the wind. Where is God? He seemed distant to them. They need help badly. It is at this moment that God shows up! He comes to Ahaz through in a message from the prophet Isaiah, telling Ahaz to stand strong in his faith. As we already found out, Ahaz doesn’t seem to have much faith. Will this message from God’s prophet be enough? And when he says “Be strong” to us, how many of us say “Thank you, Lord, that is just what I needed!”? How many of us read the words “Stand firm in your faith” or hear those words in a sermon, or in a song on the radio and think “Yes, that is all the motivation I need, and I will now be totally faithful!”? Especially think of hearing those words right smack in the middle of a difficult time, when you are really stressed out, when you are really discouraged, or when something tragic has happened in life. When God feels far away and distant. Just reading those words or hearing those words is good. But so often they are not enough. We don’t want words. We want the difficult situation to change. When God feels far away, what we want is for him to come close, to clearly show himself, to make things better. In the middle of pain, we would really love more than just words. We would love some sign that the word is true. We’re really hesitant about asking for a sign, though, because we feel we would be coming across as lacking in faith. Shouldn’t we just trust the word of the Lord? Do you ever think about asking for a sign that would prove to you that God is actually really close, that he actually cares, that he actually is going to keep his promises? But you feel like you can’t ask for a sign because you are afraid God would consider it a lack of trust in him. Been there? What is so amazing about this story is that God not only tells Ahaz to stand strong in his faith, he also offers the sign to Ahaz! Ahaz doesn’t have to ask for it. God goes out of his way to give Ahaz a chance at a clear confirmation of the promise to rescue him. But what does Ahaz do? He says he won’t ask, that he won’t put the Lord to the test. Sounds like a wise choice, Ahaz. Sounds righteous. Sounds very trusting in God. But does Ahaz ever say that he believes in God, that he trusts in God? Nope. The only thing he says is that he won’t request a sign, he won’t test God. Here’s the thing though. Is this situation an example of testing God? No! God offered it, so it is not a test. If Ahaz had asked for a sign, he wouldn’t have been challenging God at all. God was saying, very graciously I might add, that he wanted to bless Ahaz. What we actually have here is a pretty rude response by Ahaz, rejecting the Lord. That name is really interesting given this story of Ahaz. We think of Immanuel every Christmas. We immediately know that it refers to Jesus and his birth, and that he is Immanuel. But think with me for a second what Immanuel meant for Ahaz. Here’s Ahaz, a wicked king, not really concerned about God. But Ahaz is freaked out about being attacked by neighboring nations. Maybe God feels distant from Ahaz. But Ahaz doesn’t seem to have ever walked with YHWH, and is much more focused on pleasing the Assyrian gods. So what does God say? “You don’t want me close? You don’t want a sign? Guess what buddy, you’re getting a sign, and that sign will be a child called ‘God with us’.” Kind of a slap in the face to Ahaz, isn’t it? God says “You don’t want me close? I’m coming close.” God is a God who comes close. In the prophecy God promises a day in the future when his Messiah will come and God will be with us. That is a promise we can apply, that in Jesus alone is the hope of Promise. In Matthew 1:23, in the story of Jesus’ birth, Matthew quotes this prophecy in Isaiah 7:14, applying it Jesus! Then think about how the Holy Spirit is God with us. We are told in 1st Corinthians 6:19 that our body is the temple of the Spirit. We learn in 1 Cor 2:10-12 that the Spirit helps us understand the mind of God. In Romans 8:26 the Spirit prays for us. In John 15-17 is our comforter and guide. When we read in Acts that the Holy Spirit filled the first Christians, and when we read in Ephesians 5 that we can be filled with the Spirit, we have an amazing way of understanding God with us! Isn’t it amazing to think that we have Jesus as God with us, and the Holy Spirit as God in us. So have you been asking “Where are you, God?” People experience God in a variety of ways. Some super close, some distant, some in between. Perhaps the impact of “God with us” is lost on us because we have always assumed that he is with us? We get to read in the Bible about Jesus walking the roads of Israel. We’ve been told the Holy Spirit is with us. And at Christmas, with all of the Nativity scenes people put on display, are we looking at the birth of Christ as just a quaint story of a little baby? But how do we make Immanuel matter to our actual lives? We might know all the facts about Jesus and the Holy Spirit, but if we are honest with ourselves, we feel distant from God. Or he feels distant from us. What can we do if we feel far away from this God who wants to be close? We need to see the amazing importance of what God did to be God with us. Christmas is a momentous event! It is the radically altered version of life on planet earth. God took on flesh. He drew near. Then he gave his life for us to smash the barrier which separated us from God. That barrier is sin, and when Jesus died on the cross and rose from the dead, he tells us that a new way of becoming close to God is now possible. If we repent of our sins and give our lives to trust in a follow him as his disciples, we are ushered into a new relationship with him. That’s how it all starts. But many of us have started a relationship with him, maybe many years ago. Now, though, we feel distant. Maybe the ups and downs of life have made that relationship fade. It is possible to draw near to God again! Do you remember Brother Lawrence? I’ve been talking about him a lot these past few months because I’ve been reading his book, where he describes how he drew near to God. The practice of the presence of God. God was already there in Lawrence’s life, like he is already in yours and mine. But Lawrence made a choice to deliberately concentrate on the presence of God, to intentionally remember that God was already there. Lawrence made a choice to acknowledge God’s presence by talking with God. All the time. Sometimes, he says, it was an audible conversation. Mostly, though, it was a conversation in his mind. But it was intentional. Whether he was working in the monastery kitchen, or on a trip, or in a worship service. He kept up a conversation with God. The result was that he experienced the presence of God like never before. It was such a powerful connection with God, that he could hardly contain his joy. In fact, he said that he had to wrestle with him emotions because he didn’t want to become a distraction to the other monks or brothers at the monastery. Lawrence didn’t want to be the center of attention. I urge you to read his book. It is available free here. How will you draw near to the God who is with us? How do you feel about the messages that churches place on signs? Just google “stupid church signs” and get ready for a groan fest. On second thought, don’t google that. If you already did, I’m sorry for even suggesting it. I just spend ten minutes looking at them, and I wish I hadn’t. If we don’t have an event that we’re inviting people to, I struggle with what should go on the sign. I don’t want it to be cheesy. Numerous articles have been written about ridiculous church signs. I would love for the sign to be humorous, thought-provoking, and engaging. When people driving by, and we have lots of traffic on our road, read the sign, I don’t want them to roll their eyes and say to their passengers “Why do these church signs always have to be so cutesy?” I want them to think “that was a good point” or “I needed to hear that.” There are times when I want the sign to provoke a response, so that they want to ask for more information. For example, there was the time we put “this church will leave the building on Oct 8th.” It provoked a response. Three different churches who were renting other spaces contacted us or stopped by asking to purchase the building from us! To their dismay, we were simply advertising our annual Church Has Left The Building Sunday, where in place of a worship service, we go out into the community and worship by serving. Then we’re back to regular worship the next week. One message I placed on the sign a couple years ago hoping for a response, however, did not get much of a response. The message said “Feeling distant from God? Stop in to talk.” Or something like that. The message part of our sign, like Twitter, limits the size of our messages. That limitation is a very good thing, because it forces the message-maker to be creative and concise, which makes it much easier for people driving by to read. But this particular message about feeling distant from God did not generate any stop-ins. Maybe most people feel close to God. Or maybe most people who feel distant from God don’t care, or feel too awkward about stopping in to a random church to talk about it. So how about you? Do you feel distant from God? If so, why do you feel that way? Is it because God has distanced himself from you? Or is it possible that you have from him? I suspect that God feels distant for many people. He certainly has seemed so at times in my life. This coming Sunday at Faith Church, we come to the Fourth Sunday of Advent, and the lectionary reading in the Old Testament brings us to Isaiah 7:10-17. Take some time and read it. See if you might be able to discern why this prophecy would relate to God feeling distant. Then join us at Faith Church this Sunday to learn more! 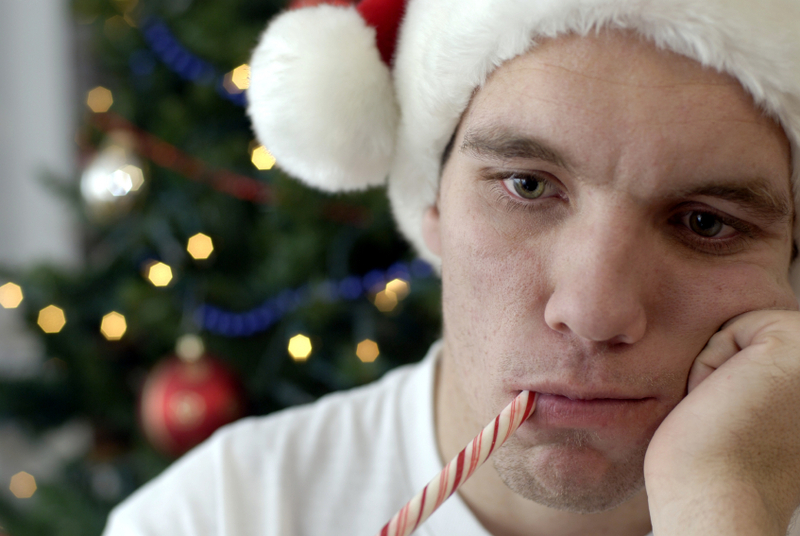 Are you feeling low this Christmas? Though there are Christmas lights everywhere, does your life feel like a dark place? In the sermon intro blog post, I introduced a story in the history of the Israelite nation of Judea. At the time, Hezekiah was King, and he was trapped inside the Judean capital city, Jerusalem. Outside the walls of the city, the powerful Assyrian juggernaut, 185,000 soldiers strong, was knocking on the door saying “Surrender or die.” If you want, you can read that post before continuing here. And look up Isaiah 36-37 to catch up with the story. What a challenge! He even uses God’s personal name. YHWH. Notice in verse 20 how the word LORD is in all capital letters? That means the Hebrew here is actually using the personal name of God, YHWH. That’s a real slap in the face of God. This Assyrian field commander thinks YHWH is a joke, just like the other so-called gods that had put up no fight. Hezekiah’s envoy returns to the palace and tells him the dire news. It’s not looking good for Jerusalem. The choices are awful: either try to hold out on a siege and slowly starve, or surrender and lose everything. What would you do? Hezekiah’s response is amazing. Look at chapter 37:1. He tears his clothes and put on sackcloth. Instead of calling his response “amazing”, I could have said that it is strange. If you didn’t know this was in a Bible story, you’d think it was a Hulk Hogan move, tearing off his t-shirt. In our culture, tearing your clothes is not what you normally do when you are sad, afraid, scared or nervous! What do you do you when you’re upset? Lay in bed. Get a huge bowl of ice cream. Shop online. You probably wouldn’t tear your clothes and put on a canvas bag. That would be seen as odd. And no one would understand you. In the Ancient Near East, however, when you were really worked up, you tore your clothes and put on sackcloth. It was how you showed everyone that what was going on was a big deal to you. What Hezekiah does next, though is awesome, and it will seem a lot more familiar to you. He goes to church. In Jerusalem, the church was the temple. Hezekiah is deeply distressed, and so often when we are distressed like that, we do what Hezekiah did. We seek God. Then he sends for the prophet Isaiah. He wants to hear from God. He is seeking out counsel. This is just like you and I might seek out wisdom from a trusted spiritual advisor, a pastor, a counselor, and we might go to the Bible and pray. Hezekiah tells his envoy to pass a message to Isaiah the prophet telling Isaiah all that has been going on. Isaiah hears and responds. In fact, he has a message from YHWH. Now this is getting good. YHWH, who has just been defamed by the field commander of Sennacherib, is now speaking back. What does God say? “Do not be afraid of that underling!” Isn’t that awesome? God calls the field commander an underling. And what’s more, God says that field commander is not going to last long. “Do not be afraid.” Maybe you’re are one of those people who likes to count things. How many times in the Bible do think God says “Do not be afraid”? There are people who have counted it. And they found that God says “do not be afraid” 365 times in the Bible. One for each day. That would be a cool study to do throughout a year! Will Hezekiah give in to his fear? Or will he trust in God? And what will his men do? Will they be faithful to their king, or will they mutiny? We’re about to find out. Briefly the setting of the story moves away from Jerusalem. We read that the Assyrians are winning still more battles, and Sennacherib continues to taunt Jerusalem in a new letter to Hezekiah saying that there is no stopping them. Not Jerusalem’s God, no one, can match the power of his Assyrian army. Now what does Hezekiah do? Things have gotten worse. Any help that Judea might have gotten from surrounding cities and nations isn’t coming. Assyria controls it all. What’s worse, YHWH hasn’t shown up yet. Sometimes when life is low, the hardest part is the waiting. When you pray, how long should you have to wait for God to show up? We want him to respond immediately. He might, but he might not. The fear, the uncertainty, can start to eat away at our already-thin faith. Was Hezekiah starting to lose faith? We’ve been learning a thing or two about Hezekiah. He was a good dude. He does what he did before. Zeal is not a word we use all that much. Here the word in the original Hebrew is often translated “jealousy” or “envy.” God is saying that he has strong feelings for Israel, and he will achieve his goal. What happens next is absolutely mind-boggling. That Assyrian camp of soldiers that was laying waste to everyone and everything? An angel of God goes out and puts 185,000 of them to death. It is total decimation. The men on wall of Jerusalem wake up the next morning to get a look at their enemy, and to their shock, they see nothing but dead bodies. Sennacherib? He doesn’t make it either. By the end of chapter 37, the war machine of Sennacherib is gone. YHWH did what he said he would do. And why? Look back at 37:21! One little phrase tells us why. “Because Hezekiah prayed to YHWH.” Hezekiah trusted in God. God said “Do not be afraid,” and Hezekiah believed and trusted. Therefore the prophecy was fulfilled. There are generally three kinds of fulfillment we normally see in prophecy: the conditional, the immediate, and the future kinds of fulfillment. The story of Hezekiah and the Assyrian attackers is so helpful for understanding the prophecy one chapter earlier in Isaiah 35. Notice that for the one who listens to the prophecy and trusts in it, the promises come true! Most prophecy is like that. So often we think of prophecy as just telling the future no matter what. But most biblical prophecy is conditional. When I say “conditional”, I mean that most prophecy says “I will tell you what the future will be like, IF YOU TRUST IN ME.” Fulfillment of the future vision was contingent on the people trusting in and obeying God. As we walk through the prophecy in Isaiah 35, we see these elements of prophetic fulfillment. First, in verses 1-2, this prophecy with its images of a desert wasteland blooming into a garden reminds us of a future peaceable kingdom similar to the one we talked about the previous two weeks. Second, in verses 3-4 we see the admonition to the people, such as those in Hezekiah’s day who were possibly the first ones to receive this prophecy, to stand firm, and wait for God to come and save them. That is a conditional prophecy. Third, verses 5-6 sure seem like they are describing the ministry of Jesus don’t they? The blind see, the deaf hear, and the lame walk. That is future fulfillment. Next, the second half of verse 6 and into verse 7 we find an image very reminiscent of Moses’ ministry, through whom God provided water for the children of Israel during their Exodus from Egypt. Some people have talked about how modern-day Israel has done a lot with irrigation, and thus how this passages shows us that we are in the end times. 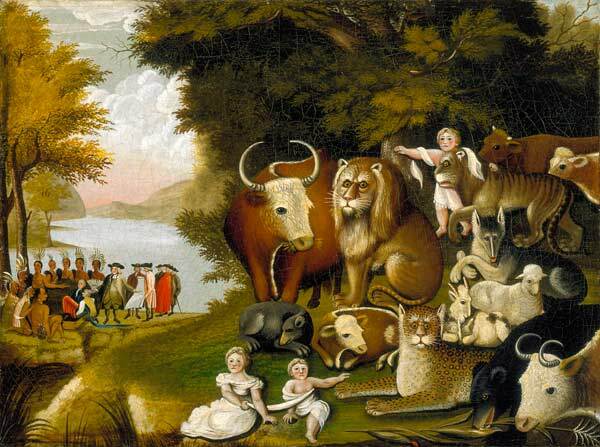 Or is this image just a symbolic of the Messianic peaceable Kingdom? We don’t know. Again, what the prophecy is suggesting is future fulfillment. The final section of the prophecy is in verses 8-10, and there we see the future ministry of the Messiah to make redemption possible. While there are five parts to the prophecy with various levels of fulfillment, two of these I would like to look at further for the practical way they relate to our lives. In verses 3-4 the prophecy says “Be strong, do not fear, your God will come.” We might not get to be the ones who see this part of the prophecy fulfilled. When this same thing was happening in Hezekiah’s day, not all people in Jerusalem got to see it. People still were born, lived and died. Generations of them did not see it. But it did happen. Yes, there was an immediate fulfillment of deliverance in the story of Hezekiah that they did see. But there was also a future fulfillment 700 years later in the birth of Christ they did not see. The same goes for us. We might not live to see the second coming of Christ. That is hard to take because we look around our world and there is much to fear. But we have the same words spoken over us: be strong, do not fear, your God will come. No matter how low you feel this Christmas, be encouraged. God will keep his promises. It doesn’t mean that we go hide in our houses and just let wickedness and injustice rule. No we work for the flourishing of God’s mission now. We don’t sit on our hands and wait for God to come. We do what Hezekiah did. We pray for deliverance, we seek godly counsel (meaning that we avoid individualism, we avoid going it alone), and we faithfully obey God. We obey even when we don’t feel like it, when it seems ridiculous. Imagine how tempting the thoughts of surrender would have been for Hezekiah. As he is waiting for God to keep his promise, maybe Hezekiah feared the Assyrians were right, and the Judeans would have a better life in Assyria? I can see how Hezekiah would be wrestling with this. Yet he obeyed the Lord. The next practical application in the prophecy is found in verses 8-10, and there we have a problem. The vision describes a highway, the Way of Holiness it is called. This is the Way to God. The problem is that the unclean, the wicked will not be able to walk on the Way of Holiness. Aren’t all of humans unclean and wicked? Surely there are many of us who aren’t that bad as to be called wicked, when you consider how deeply evil some people can be. But none of us are holy. This Way of Holiness requires perfection. That’s a huge problem. Who can walk on that way to God? Who are the clean, the righteous ones that are able to walk in that way? Look at verse 9-10. The ones who can walk on that highway are the redeemed, the ransomed of the Lord. So what does it mean to be redeemed, ransomed of the Lord? 1 Timothy 2:5-6 tells us that there is someone who can ransom us. Jesus. We need to remember the story of the Good News of Jesus, starting with Christmas and carrying through Jesus’ perfect life, death and resurrection. When we trust in him by believing and obeying him, we can be redeemed. Have you been redeemed? Have the chains of sin been broken in your life? If you’re not sure, I’d love to talk with you about that. Hezekiah is a great example for us. We show that we trust not just by believing something in our mind, but by staking our life on God’s promises. Hezekiah’s decision to go to the temple, to pray, to not give in to the powerful Assyrians, was an amazing act of faith. It was risky. It was literally putting his life on the line. God had to show up, or Hezekiah and Jerusalem were finished. There was no human way of stopping the Assyrians from destroying Jerusalem. And God did show up. The same thing goes for us. When we look around our world and we don’t have hope, when there doesn’t seem to be a human solution, we can feel hopeless. In those moments, when we still obey God, when we still walk in his way, we show that our faith is real. So put these two applications together. Combine them in the middle of your life situations. I know that there are many situations in life that can bring us down. Scary situations. Hardships. God says to us “Be not afraid.” He is a faithful God that we can trust in! I’m not saying that he is promising to make all the bad stuff of life go away. Instead I am saying that when we trust in him, we can know that we will always have his promises in our lives. First there is the promise of a future in his peaceable Kingdom. Even if life is hell on earth on for us now, we can hold on to the hope we read about in verses 9-10, the hope of gladness and joy, everlasting joy, and our sorrows and sighing fleeing away one day in his Kingdom. But second, there is also the abundant life of Christ that we can experience now. And I would love to talk with you about that. If you feel like the word “abundant” is not describing your life now, and you have little hope that you will experience the abundant life of Christ, please don’t be forlorn or upset. You’re not alone. Many people don’t experience it. And many wonder why. What should you do? The first step is to talk about it. Follow Hezekiah’s example. Reach out to the Lord and to the people who know him. Please feel free to comment here to talk further! There is hope! Do you ever feel like the world is not fair? In our world there are haves and have-nots? 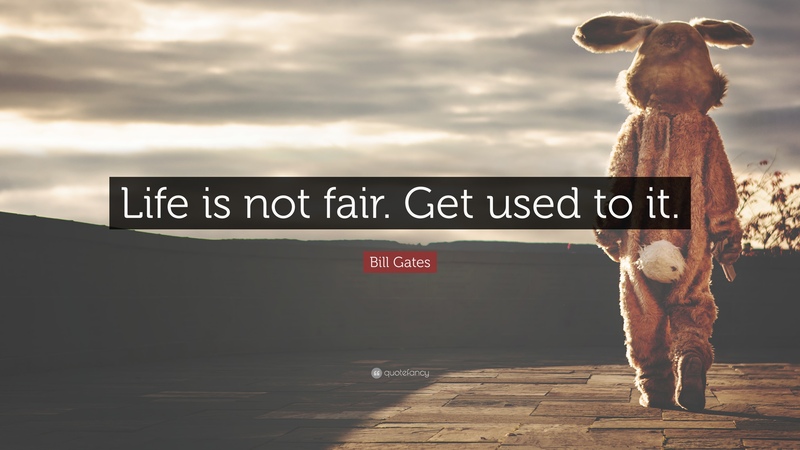 What are some ways that you feel like the world is not fair, or that it is set up to give some people the advantage? Where you are born. For example, think about the difference in opportunity a person has simply by being born in the USA vs in Africa? Or what about the color of your skin. There are many ways the our society demonstrates inequities: Gender. Ethnicity. Whole family vs. Broken family. Live in city vs. live in suburbs. Born into a rich family vs. born into a poor family. These are just some of the many factors that can lead to some people being at an advantage and some people being disadvantaged. Do you feel disadvantaged? In our society this idea of advantage vs. disadvantage has been discussed a lot lately. And pretty much everyone agrees that our world is out of balance. The playing field is not level. Today as we continue looking at the Lectionary’s Advent readings in Isaiah, we are looking at messianic prophecies of the future Kingdom of God. Today we look at Isaiah 11:1-10. Did you notice that this is a prophecy that levels the playing field? In verses 4-5 we are told that the Messiah’s work will be based on justice and righteousness. The Spirit has blessed him with abundant wisdom (verse 2) so he doesn’t need to see or hear to judge. The result? The poor and needy will be defended. The wicked oppressors will be slain. As a result, the patterns of animosity will be transformed. Dangerous animals will be safe. Think about the animal world. Alex gradually turns wild. Have you ever seen that with your pets? 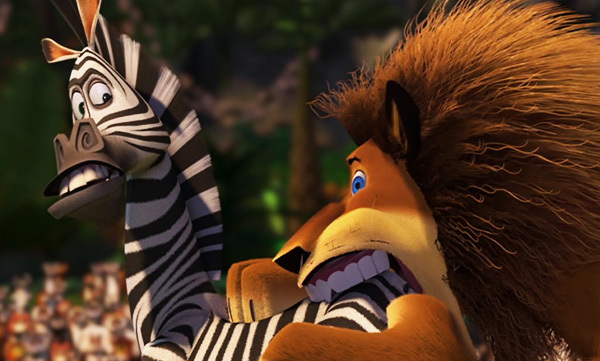 Sometimes, these cute, cuddly animals show their primal side . My in-laws’ dog is the biggest fraidy-cat I’ve seen. He’s a 90 pound Rottweiler-Bernice Mountain Dog mix. We used to take him to the dog park, and he would never play with the other dogs. In fact, I would sit down at the picnic table, and when another dog got near him, even a small dog, my in-laws’ dog would jump up on the table next to me. So I was surprised to hear last year that the dog attacked and killed a ground hog! That primal instinct was inside him! As Shakespeare once said, “nature is red in tooth and claw.” Survival of the Fittest. We are completely used to that in the animal kingdom. But in Jesus’ Kingdom those normal categories of predator and prey will be redefined. Some scholars see this image as literal. Some wonder if it is symbolism. Think about it, what has the vision just described before this? Look again at verses 4 and 5, and we see another upheaval. In that description we see Jesus judging with justice and righteousness, redefining the categories of dominance and power in the world. He will be for those who are poor and needy. Normally they are oppressed. And Jesus will slay the wicked. Normally, the wicked are the oppressors. In Jesus’ kingdom, things get flipped. Furthermore, he taught us to pray in the Lord’s Prayer, “Thy Kingdom Come, thy will be done on earth as it is in heavy.” That is a prayer request for the Lord’s Kingdom to come now. It won’t come now in its fullness like it will when he comes again. But we can usher in the Kingdom now at least in part. So how do we do that? We look at how Jesus sought to usher in the Kingdom when he walked on the earth. That was his Mission. In this vision we see that the Messiah, in verses 3-5, judges with righteousness and justice. 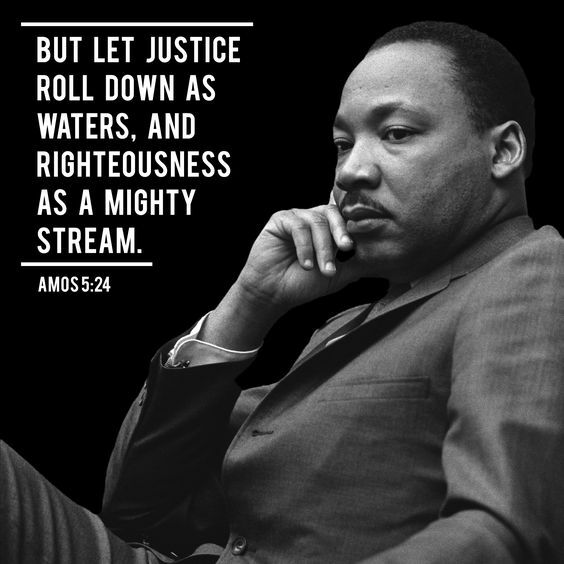 Martin Luther King Jr has a famous quote about justice and righteousness. Those themes regularly turn up in the biblical prophets. Probably the most famous reference, and the one that MLK was quoting, was Amos 5:24. In the messianic Kingdom justice and righteousness will prevail. But just like MLK did not wait for that day in the future, and he worked tirelessly for the Kingdom to come in his day, and he gave his life for that important work. We, too, must work towards seeing the Kingdom come right here, right now. Look at those verses in Isaiah 11 again. We can help usher in the flipped Kingdom by practicing justice and righteousness on behalf of the poor and needy. In our world today it is the rich and powerful that have the advantage. While those who are poor and needy are at a disadvantage. In our world if you are rich and powerful it is more likely that a judge will judge for you. In Jesus Kingdom this gets flipped. In his kingdom he will judge for the poor and needy. They are at an advantage. Jesus brings justice. In his Kingdom the playing field is leveled. When I played college soccer, our field over at LBC had quite a crown to it. It must have been designed that way to direct water off the field when it rained. That’s good and normal, and all fields should be slightly rounded off, but whoever did the work at LBC made the curvature of the field too severe. When you were standing on one sideline, and the ball was on the other, you couldn’t see the ball. You could only see guys running around, and you had to guess where the ball was. It wasn’t a level playing field. And then I found this soccer field! And we are called to do the same thing now. I know we won’t be able to do this perfectly in the here and now. But that doesn’t mean we shouldn’t try. We should try. And I love to see how Faith Church is partnering with other churches and organizations in our community to usher in the Kingdom, to level the playing field! We support CVCCS, a local ministry that is seeking clothe and feed the needy in our community. We are donating food and clothing to CVCCS, an act of leveling the playing field. We are volunteering there. I know that there are people who are at a disadvantage because they have made poor choices and they have disadvantaged themselves. We need to be careful about how we talk about the disadvantaged. If we focus on their poor choices, we might not be able to see how disadvantaged they truly are. Additionally, our own hearts might become jaded, and distrusting, and we might not be able to see anyone as disadvantaged. We pack shoeboxes for children in need around the world so that they might receive not only a Christmas gift, but also hear the Good News of the Kingdom to learn about the God who loves them. We fill stocking for children in Philly and take them down there and work with Joe Toy to share the Good News of Jesus’ flipped Kingdom with them. Our quilters make quilts for tons of people in need. We run a Good News Club at Smoketown Elementary so children can hear the Good News and get to know God personally. We are one of four locations of CVCCS Summer Lunch Club so that the hungry around us can come get lunch every Monday, Tuesday and Thursday for nine weeks in the summer. All of this is leveling the playing field. All of this is ushering in the Kingdom. What else can we do to usher in the Kingdom? Life’s not fair. But we can do something about it!